Cremation Jewelry is a unique way to remember your loved one. 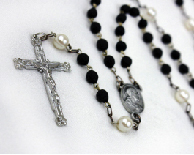 Cremation Keepsake Jewelry is suitable for both men and women, of all ages. The cremated remains are kept same and near your heart at all times, and tastefully contained in a beautiful piece of jewelry. Precious Memories are keepsakes that offer rememberances of the one who has passed in a truly unique and powerful way - with a tangible imprint that captures the unique impression every life makes on our own. 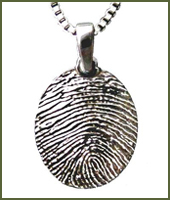 Captured from an inked fingerprint, handprint, or footprint, each one is both unique and everlasting ~ preserving in precious metal every line and contour for countless generations to come.